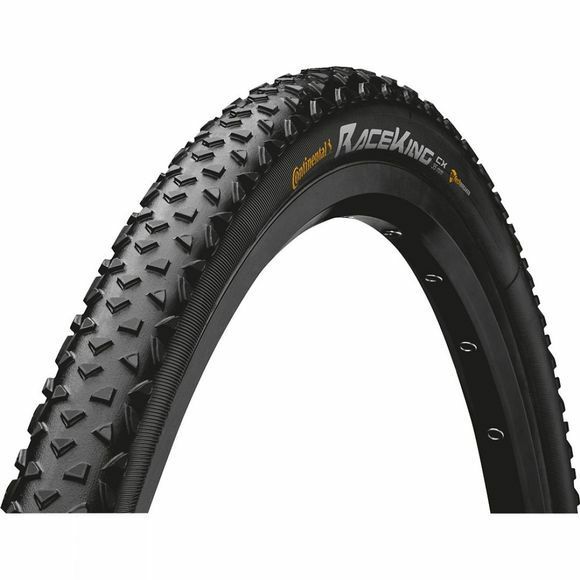 Continental's Race King CX performance tyres are the race day choice. The voluminous 35mm carcass creates the convenience of riding tubulars without having to deal with the cumbersome fitting process. This tyre is the perfect balance between grip, comfort and low rolling resistance even at low air pressure due to the supple, lightweight 180 tpi casing with a Puregrip compound. Thorn protection is provided by the NyTech belt, a nylon based fabric layer beneath the tread that is similar to Kevlar but with reduced weight for extra speed.